Wonderful new construction open floor plan completed and ready for you to move in. 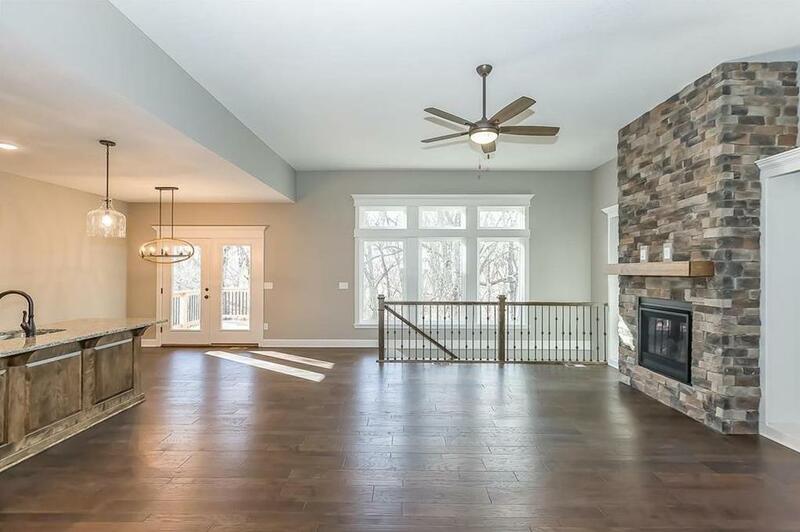 Hardwoods through the main floor, full stone fireplace from floor to ceiling and large windows to view to woods behind your house! Every part of this house has been designed to make it cozy and inviting! 408 Chisam Road (MLS #2116851) is a traditional single family home located in Kearney, MO. This single family home is 2,489 sqft with 4 bedrooms and 3 baths. This property was listed on 01/10/2019 and has been priced for sale at $349,900. Nearby zip codes are 64024, 64040, 64048, 64068 and 64167. This property neighbors other cities such as Excelsior Springs, Holt, Kansas City, Liberty and Smithville. Listing Last updated 03/29/2019 4:15 PM CDT . Some properties which appear for sale on this web site may subsequently have sold or may no longer be available. Walk Score provided by Walk Score. Mapping data provided by Google and Bing.